It’s estimated that 1 out of 4 people have some sort of personal relationship to adoption. Why middle age, empty nest and adoption related issues have received very little attention from both research and clinical perspectives. Why adoption isn’t a one time legal event, but instead is a life-long process of experience in the world. Why adoption can take on a special meaning in midlife because there’s more opportunity for perspective. 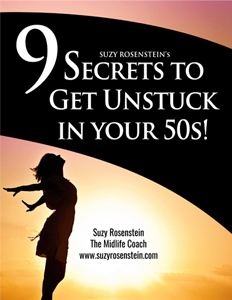 Why “mattering” continues to be a central key issue for adoptees, even in midlife. Why using the expression “being given up for adoption” is a horrible phrase. How laws affecting access to legal documents are the equivalent of not having access to “Chapter 1” of your life and how it can affect you throughout your life. Why it’s important to consider searching for your birth parents. How Facebook and the use of DNA Registries are making it easier than ever before for people to find each other. How issues related to assisted reproduction can be experienced as similar to adoption. How step-adoptees can have intense and emotional experiences related to adoption as well. Why it’s important for birth parents to realize that the chances of being found is high because of today’s technology and why it can be both scary and incredibly healing. 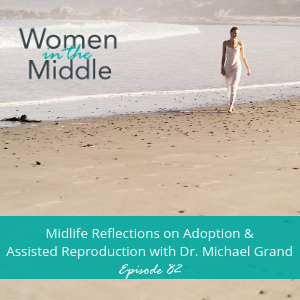 Today we’re talking about adoption and assisted reproduction from a midlife perspective. We’ll be taking a look at a variety of issues related to the adoption constellation, including the areas of adoptees’ sense of identity, attitudes in adoption, policy and legislation, openness, search and reunion, and step adoption, all from a midlife lens. My guest today is Clinical Psychologist Dr. Michael Grand, who has been publishing research in adoption since 1983. I met him about the same time, as a student in the Psychology Department at the University of Guelph, in Ontario, Canada. Michael co-directed the National Adoption Study of Canada and it was through this work that we discovered that we had something quite unique in common. It turned out that Michael and I were both step-adopted. That’s when a step parent formally adopts the birth child of the other parent. We dive more into this during the interview. Michael’s been an activist for all members of the adoption constellation, that is, the adoptee and the original and extended family and the adoptive and extended family. He’s won several awards, including the David Kirk Award for outstanding contributions to research in adoption. In his latest book, The Adoption Constellation: New Ways of Thinking About and Practicing Adoption, Michael confronts the many facets of adoption and presents the concept of adoption as embedded within a wide constellation of relationships. Michael brings a compassionate understanding to all members of the adoption constellation in his work. He draws on a lifetime of personal experience, research and clinical practice, and challenges conventional ways of thinking about adoption. Openness is key to the relationships of all parties in the adoption constellation. The Adoption Constellation: New Ways of Thinking About and Practicing Adoption by Michael Phillip Grand.